house. Mrs. Lofgren, Anna and Jubilee will be here, also Mrs. Boone and her daughter, Maureen from choir, and Mrs. Olm and her daughters, Rebekah, Hannah and Suzannah. 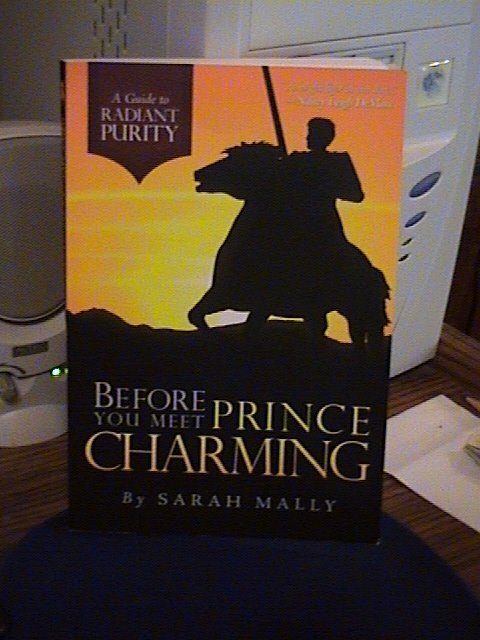 We're studying Before You Meet Prince Charming by Sarah Mally, and it's really a wonderful book. We have some cleaning to do (our house is rarely in the state of absolutely clean), and I have to straighten my room (which I'm constantly being told to clean because I don't do it often enough). Now you know my secret. Though I love to organize things, I don't know why it's so hard to keep my room clean. Or actually our room I should say. My sister and I share a room, but she cleans her part more often than I do. ::hangs her head in shame:: Anyway, how I did go from a book study to cleaning? I'm just rambling really. Well, I'm working on my installment of Women of the Bible, so that will probably be my next post. Don't worry once you have your own home you may find that you clean it more...that is what happened to me! My older sister and I shared a room until she went to college and she was always neater than I was. But now that I have my own home I work hard to keep it neat and clean! I can't wait until tomorrow evening! Your room the way your mother desribes it sounds exactly like my room! It's not really messy-messy, it's just a bit cluttered but nothing that 5 or 10 minutes wouldn't fix up. I'm reading this book for the second time. 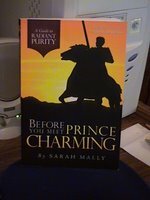 It was a life-changing book for me.